I work hard in the classroom and on the football field. I play multiple sports. I can play any position on the O-line. I am a 2x State Champ as well as a 2x 1st Team All Region and County selection. I also won region and county this past year in discus. 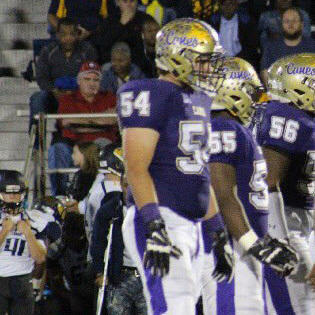 Root was a starter on the last two Cartersville state championship teams playing OT. At the next level we think he best fit at OG or center but could play OT in a spread triple offense. Every offseason he has made significant gains in the weight room and this one has been no exception. He has increased 30-70 lbs on each lift from last fall. The 2018 recruit plays with a ton of intensity and finishes off his blocks with a devastating pancake. Cartersville used his versatility a ton and he showcases the speed that works well in the read option game. Root can get up field fast and block at the 2nd level, so playing center at the next level would not surprise us one bit. Root has the athleticism to play at the FCS level and his senior film should cement that belief. Nasty and mean really aggressive off the ball.